Laura Eynon wrestling in a GRAWL (Greensboro Arm Wrestling League) event. The CLAW (Collective of Lady Arm Wrestlers) USA SuperCLAW 3 event in New Orleans. 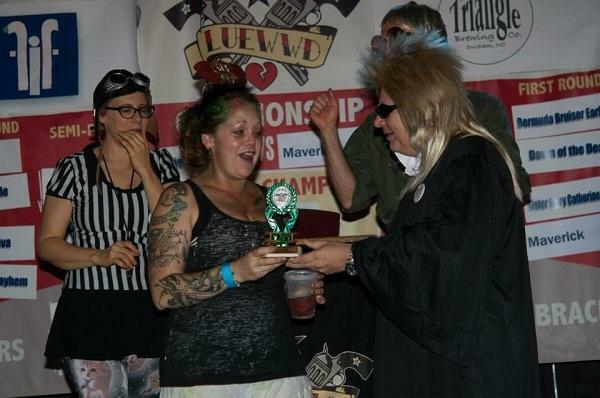 Dawn Bland as wrestling persona 'Dawn of the Dead' being awarded Madame Moneymaker award for raising the most money at a LUEWWD tournament. ​What happens when women get up on stage dressed to the nines and are judged not for their beauty, but for their strength? 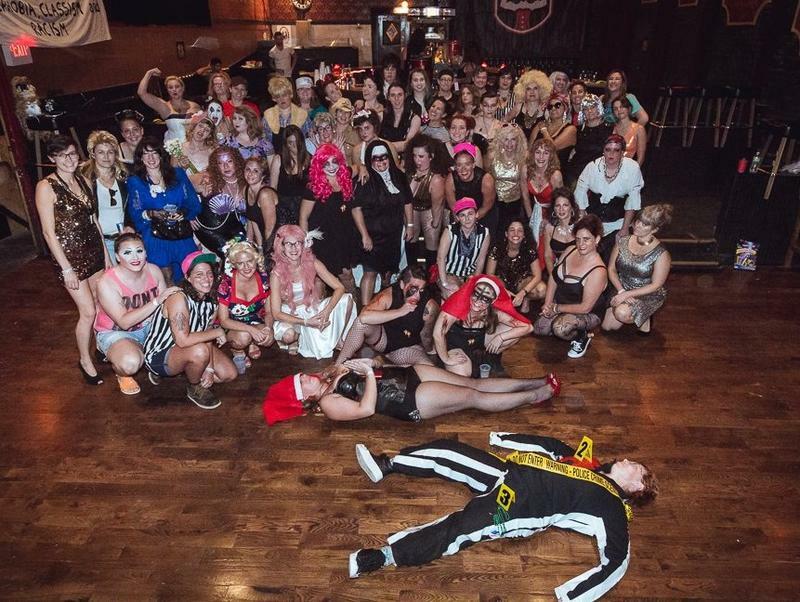 Groups of women around the country have been exploring just that with competitive arm wrestling leagues. Two of these leagues are based in North Carolina, the League of Upper Extremity Wrestling Women in Durham (LUEWWD) and the Greensboro Arm Wrestling League (GRAWL). The competitors create characters, don costumes, and compete to raise money for charities that support women and girls. Host Frank Stasio talks with two local arm wrestlers, Laura Eynon and Dawn Bland, and a board member for the Collective of Lady Arm Wrestlers, Tonya VanDeinse. 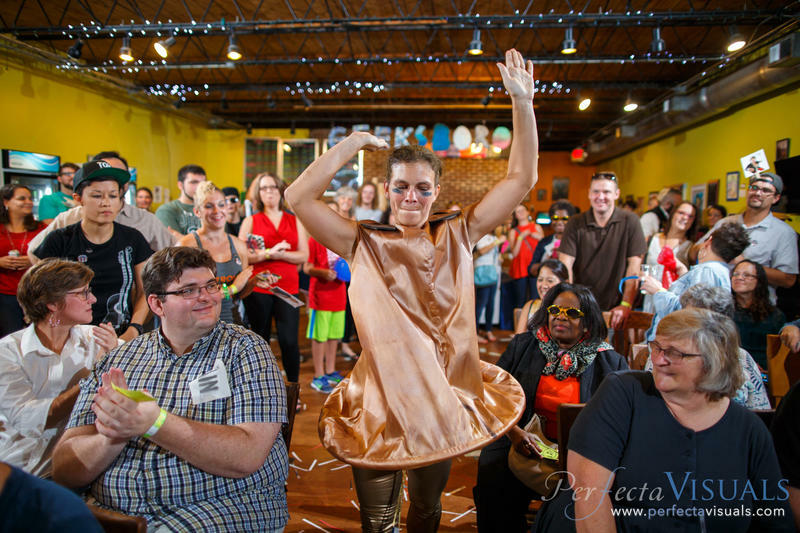 Host Frank Stasio talks with two local arm wrestlers, Laura Eynon and Dawn Bland, and Tonya VanDeinse, a Durham-based woman who sits on the board of the Collective of Lady Arm Wrestlers (CLAW USA) that coordinates efforts around the country. LUEWWD hosts an event to raise money for Partners for Youth Opportunity Saturday, Oct. 15 at 7:30 p.m. at The Bar in Durham.